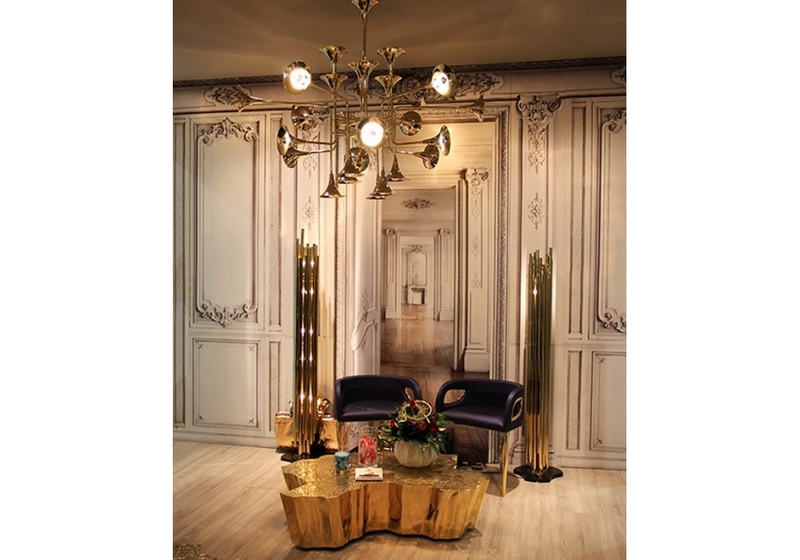 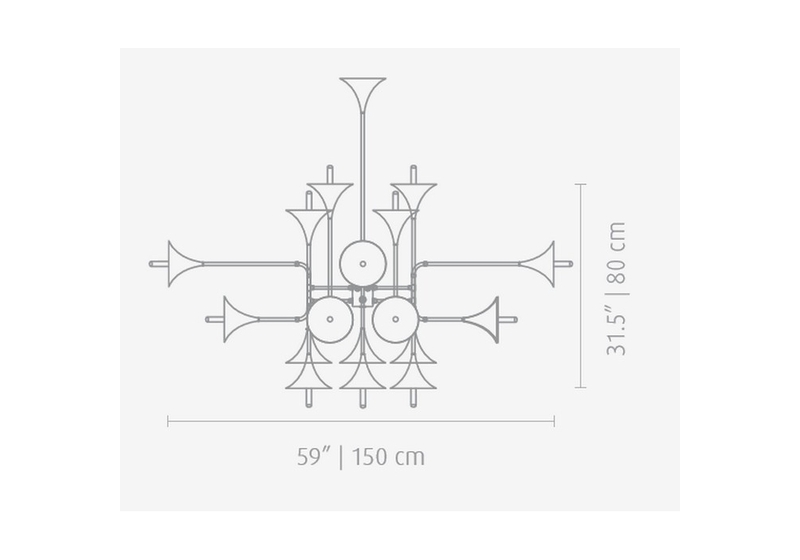 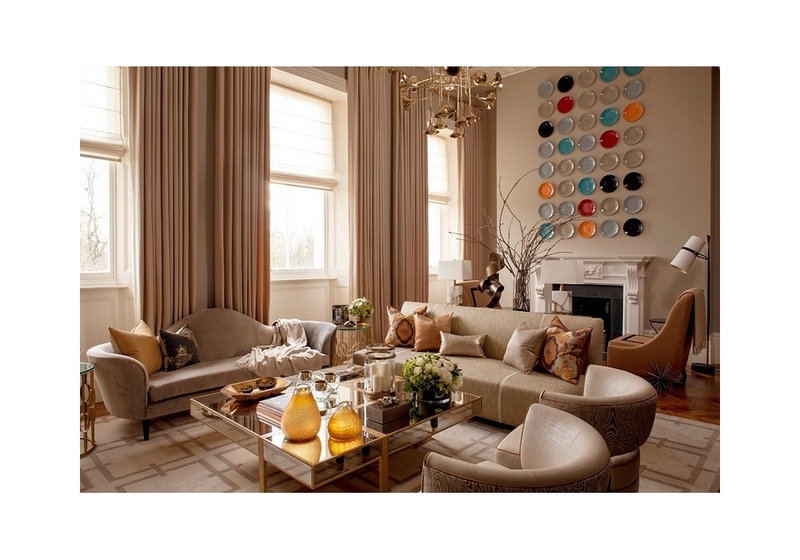 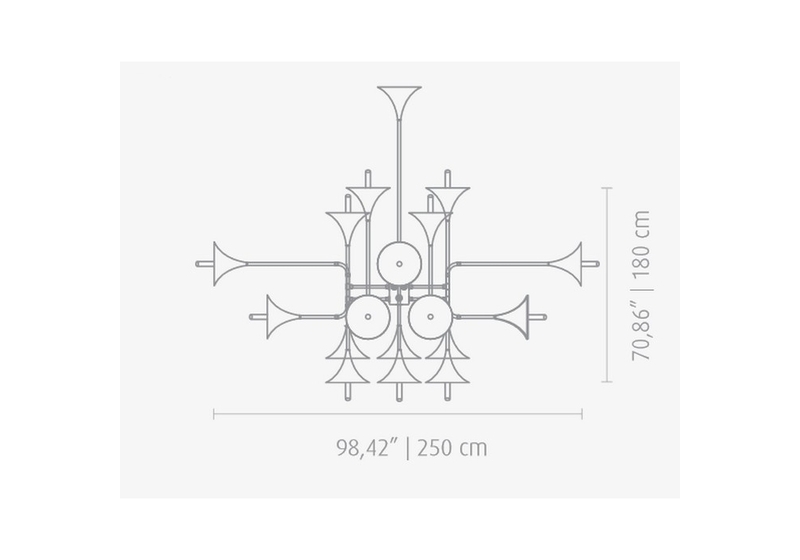 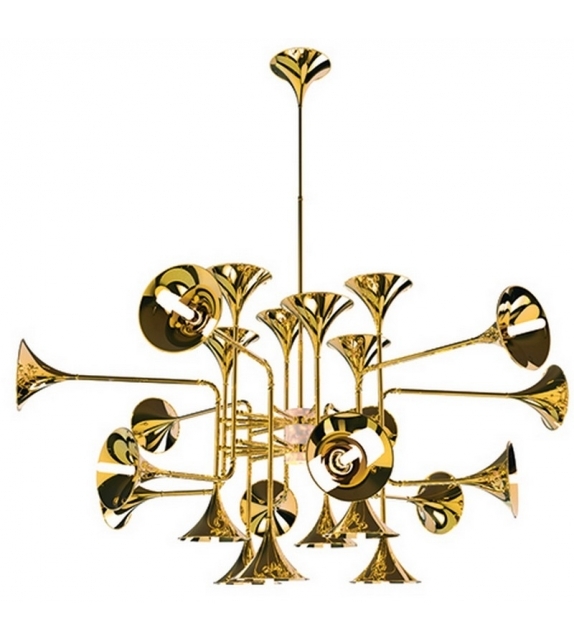 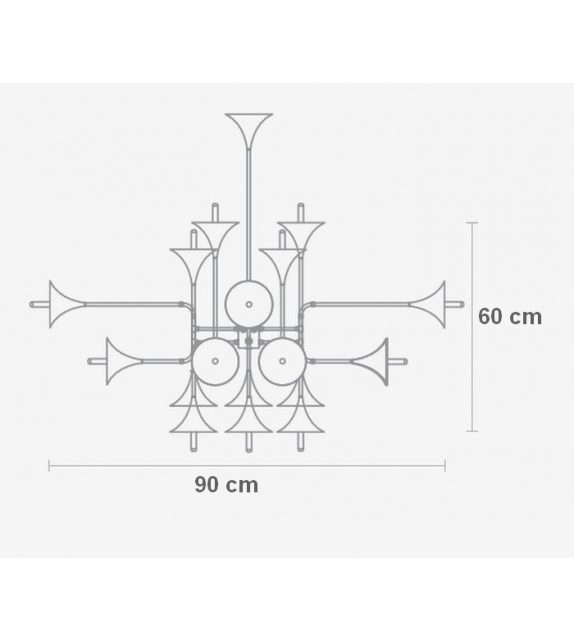 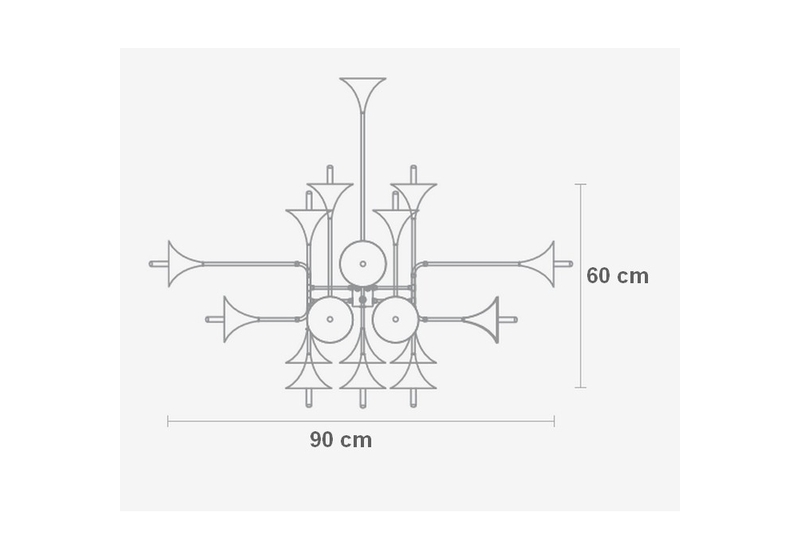 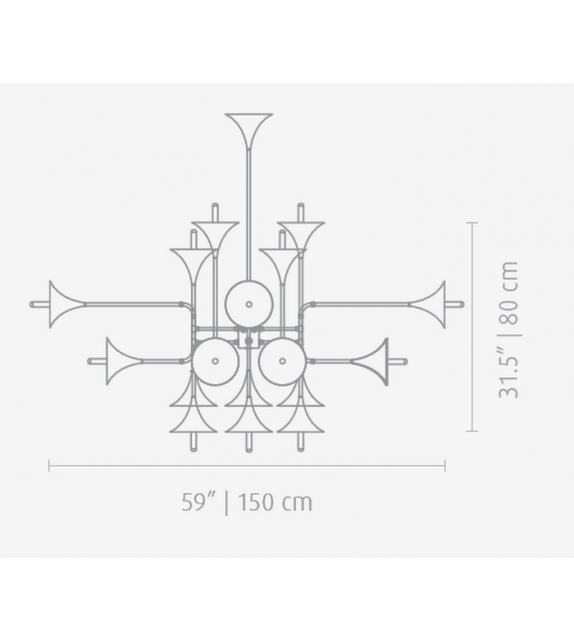 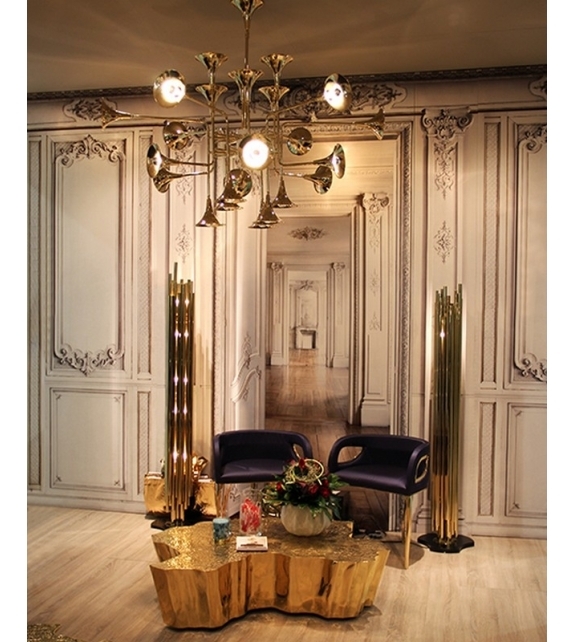 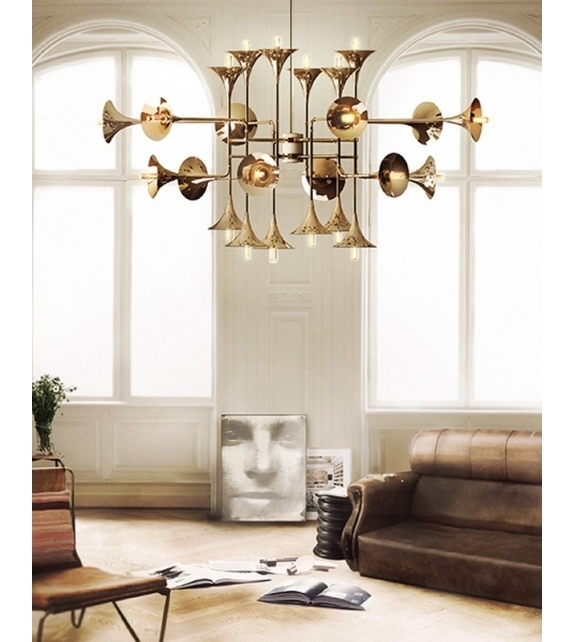 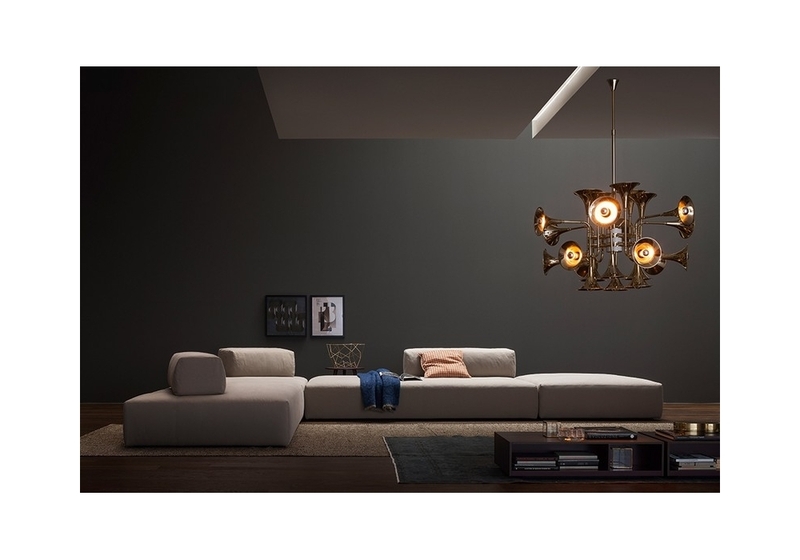 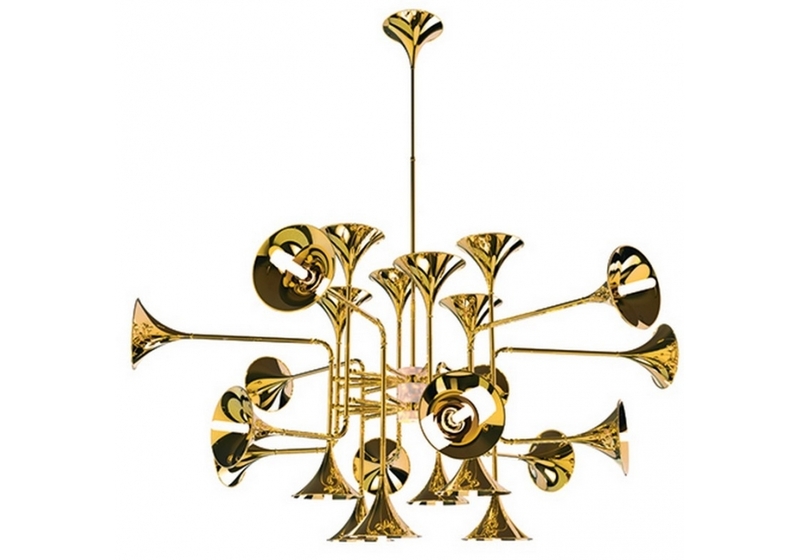 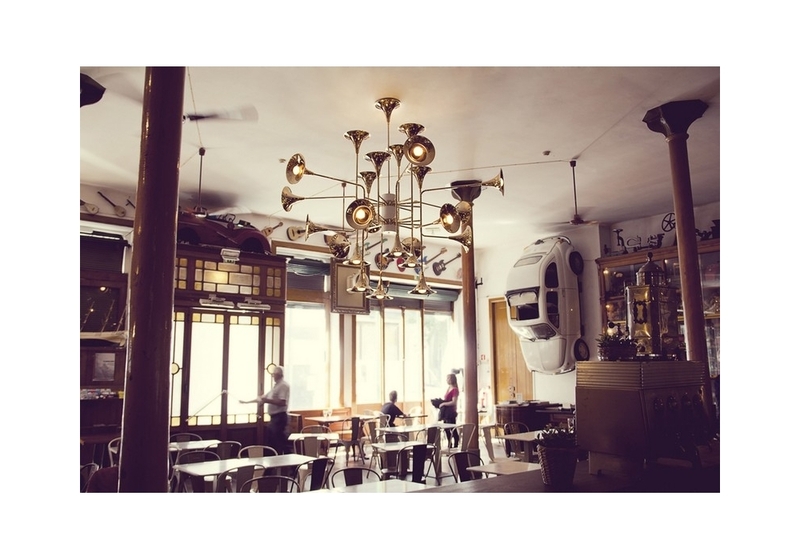 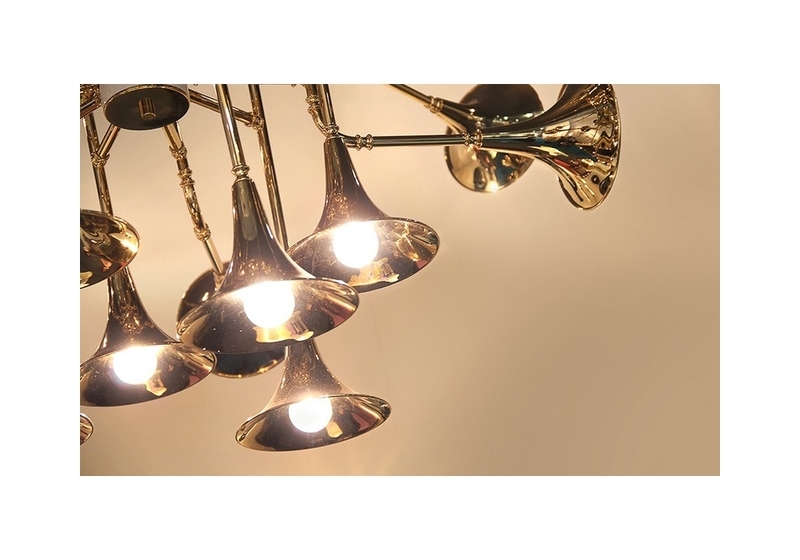 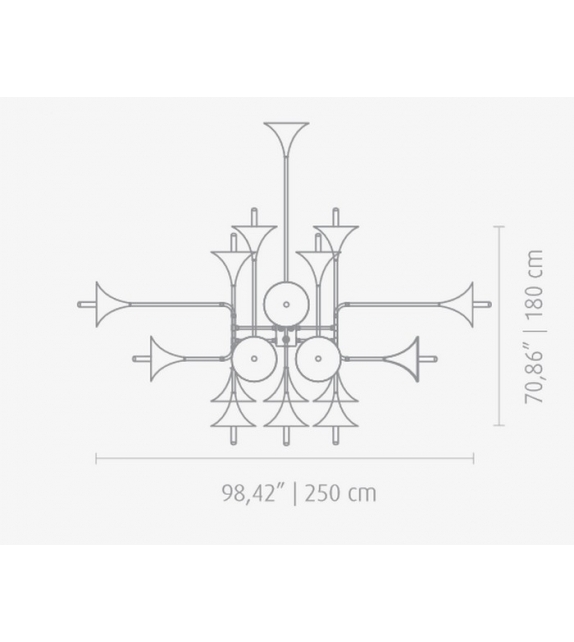 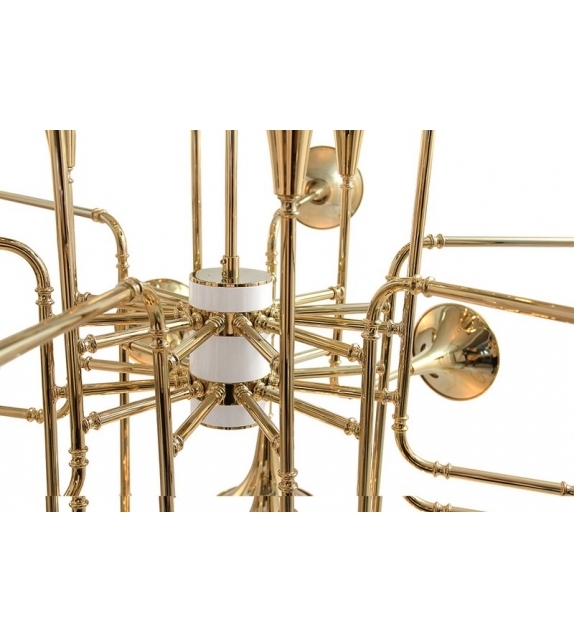 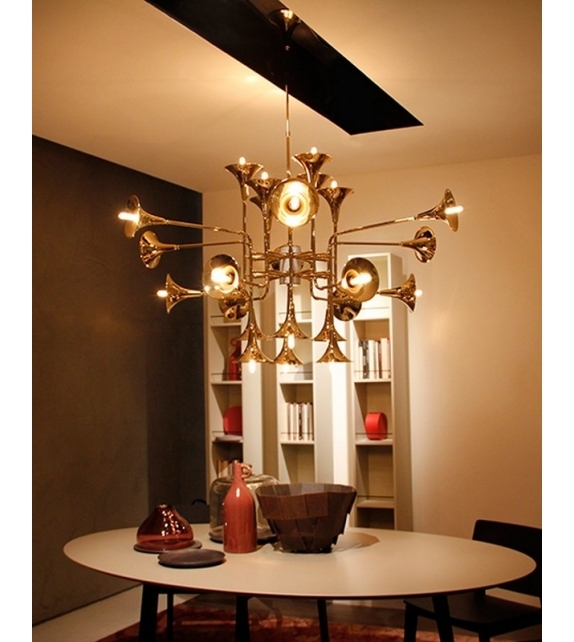 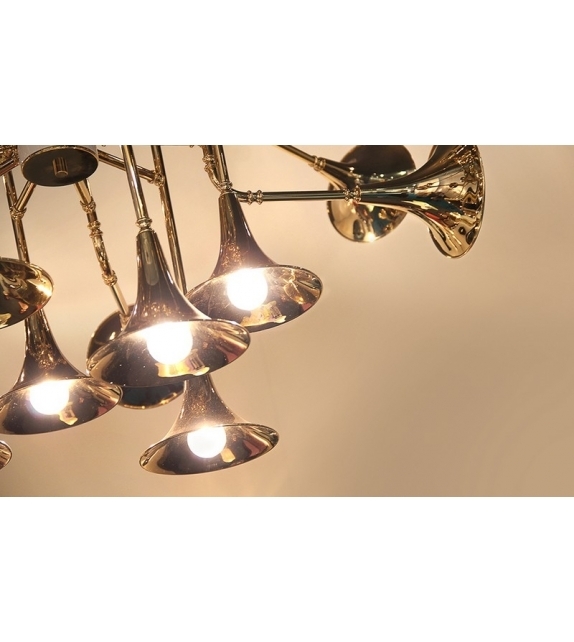 Botti is a chandelier designed by DelightFULL. 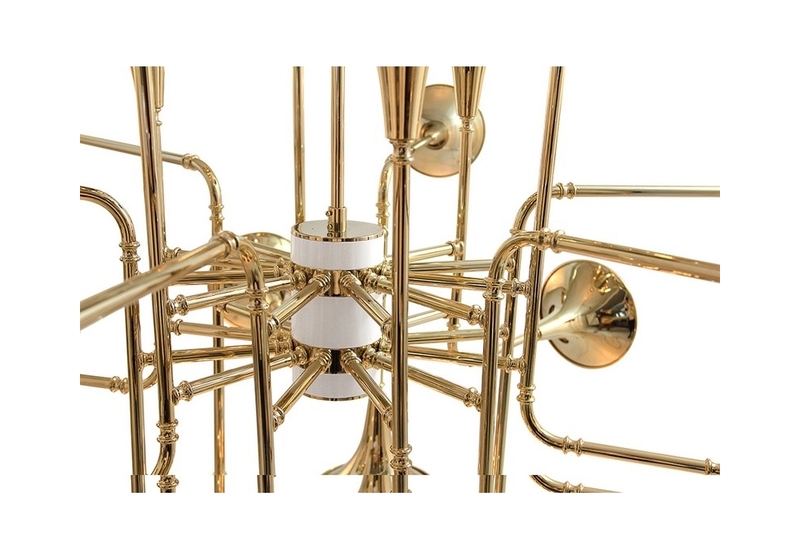 Like an orchestra, Botti embodies all the details of wind instruments and takes us into a music concert. 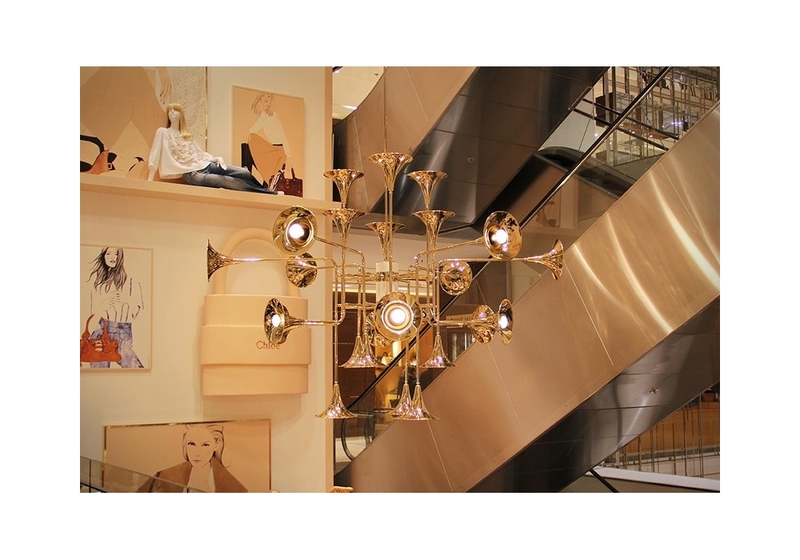 Its structure is handmade in brass and gently covered by a golden mantle, a monumental piece which shows the exquisite capacity of Delightfull’s skilled artisans.